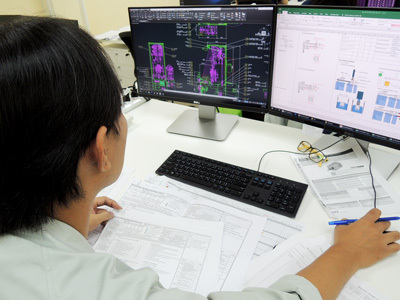 Back to Fact-Link's Top Page > Production Equipment / Engineering > HIKICHISEIKO (THAILAND) CO.,LTD. manufacture of various types of production facilities and equipment such as labor-saving machinery and FA equipment. Visual Inspections that are superior to the naked eye. An articulated device capable of positioning the camera head perfectly to inspect curved surfaces, optics capable of resolving even the most minute scratches on a polished surface, and image processing software that finds every defect. Suitable for finding all kinds of surface defects, including scratches, pinholes, bruises, burrs, and dimples. Suitable for parts of all sizes and shapes, from cellphone cases to car doors.